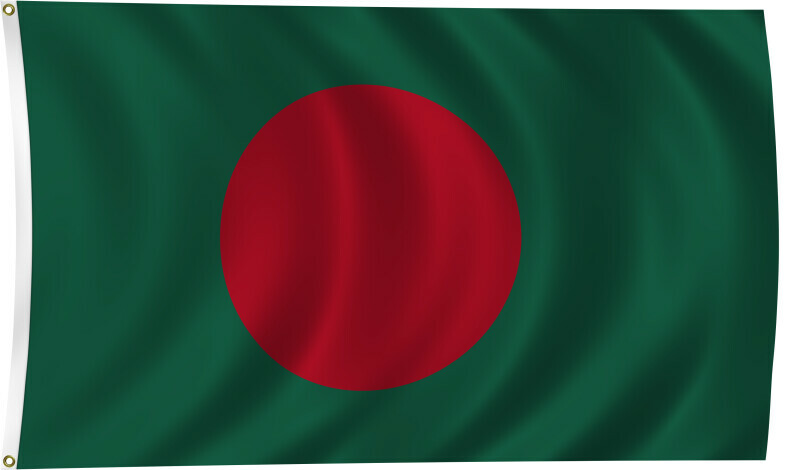 Color flag of Bangladesh. Green field with a large red disk shifted slightly to the hoist side of center; the red disk represents the rising sun and the sacrifice to achieve independence; the green field symbolizes the lush vegetation of Bangladesh. Flat color and black/white versions of world flags are available on the Clipart ETC website.